Big smartphones are enjoying more and more popularity. The Huawei Honor 8X Max is one of these large Android phablet phones with a huge 7.12-inch FHD+ display. 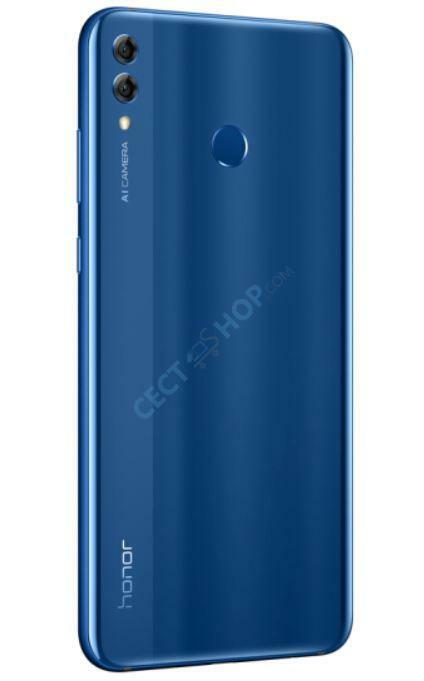 The Honor 8X Max model ARE-AL10 is equipped with a Snapdragon 660 chipset and comes with 6+64GB storage. 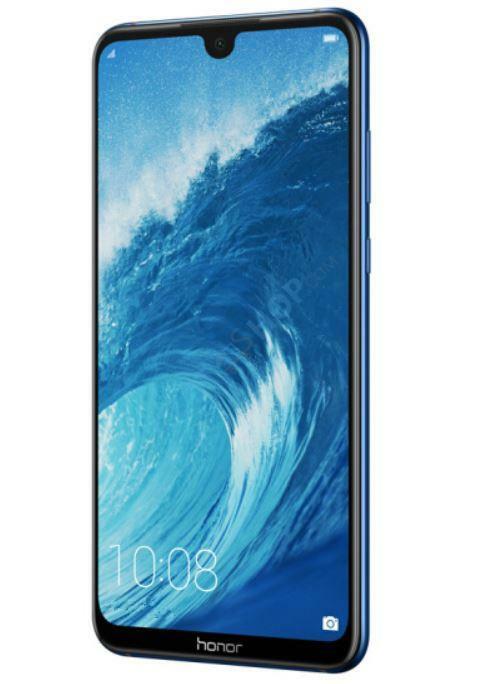 The large device is running EMUI 8.2 based on Android 8 Oreo and has a triple card slot supporting up to 4G LTE connectivity. 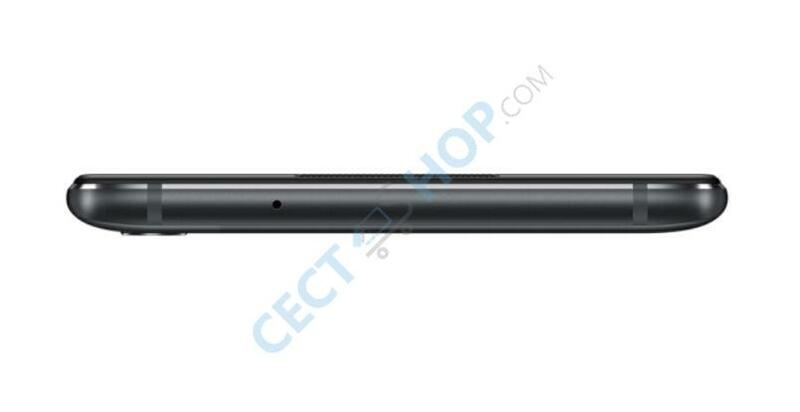 The massive dual-SIM smartphone features a large display with 7.12” and over 90% screen-to-body ratio. 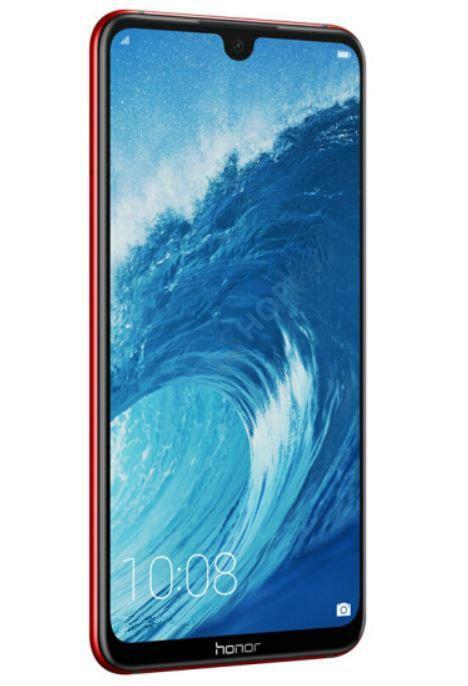 Underneath the full HD+ display with 2244 x 1080 pixel resolution (350ppi) a 64bit Snapdragon 660 octa-core chipset with up to 1.95GHz burst frequency powers the large Android phablet. The giant mobile is available with 6GB + 64GB on-board storage. The internal storage can be expanded by up to 256GB with a microSD memory card. On the back of the smartphone is a dual camera with 16-megapixel and 2-megapixel sensor. 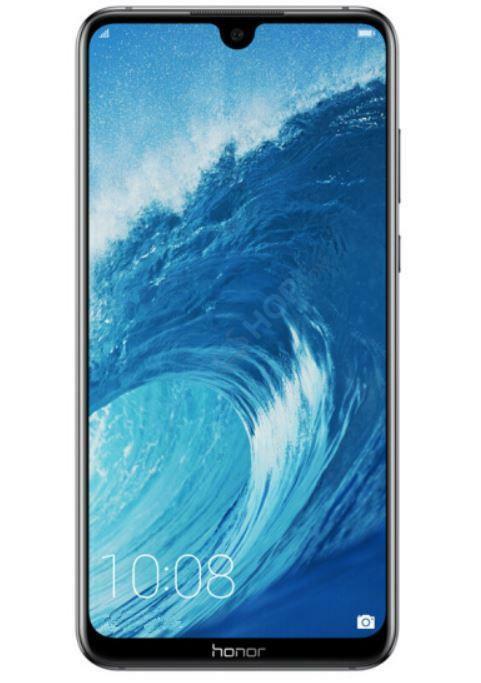 The 8-megapixel front camera is perfect for video calls, selfies or to unlock the mobile device. The built-in battery is charged with 18W quick charging technology. This will allow you up to 40 minutes of calls with a quick 10-minute charge. 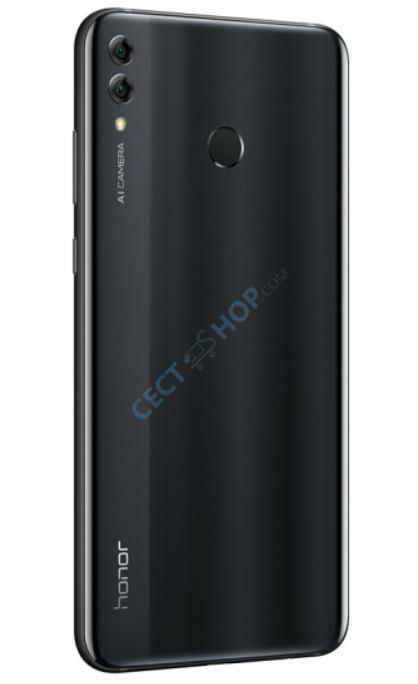 In terms of connectivity dual 4G LTE, Bluetooth 4.2 and dual band Wi-Fi are on board the Huawei Honor 8X Max. For positioning GPS, Beidou and Glonass are available. The large dual SIM phone runs EMUI 8.2 based on Android 8.1 Oreo out of the box. 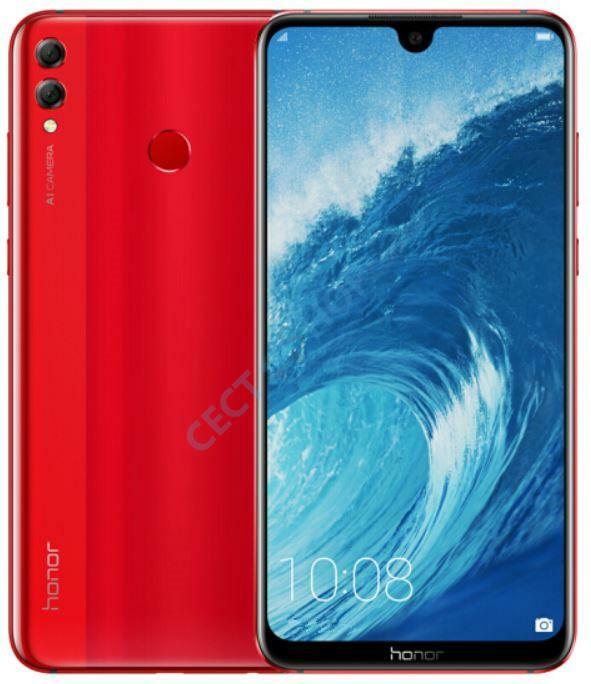 Available in Black, Red and Blue – Get the huge Huawei Honor 8X Max with Snapdragon 660 at the best online shop for Android smartphones – CECT-Shop.com. Sehr gutes Smartphone Komme vom Samsung S5 Display ist ein Traum mit der Tropfen Notch. Entsperren geht super schnell, benutze meistens Faceunlock. 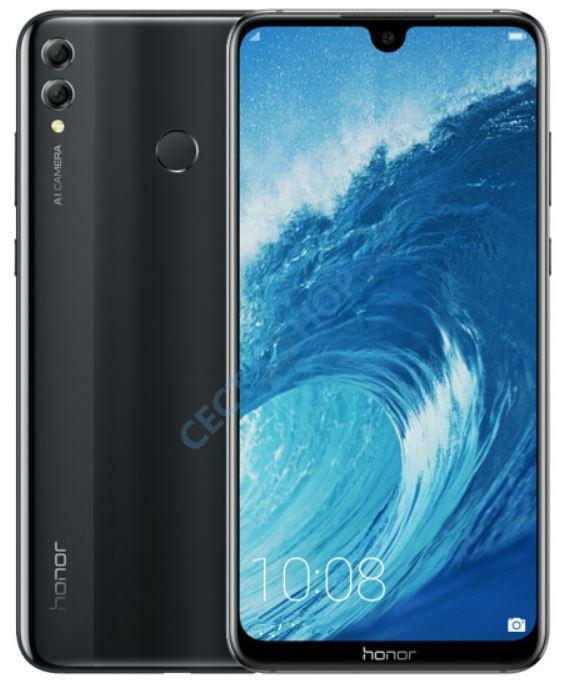 Akku hält sehr lange und ist sehr schnell wieder voll Wer jetzt ein neues Handy Brauch kommt nicht am Honor 8X Max vorbei! Akku hält ewig, Kamera ist top. Handy ist ein bisschen groß für meinen kleinen Hände, aber meistens hab ich es eh in beiden Händen und tippe mit den Daumen. Are you f***ing kidding me??! BUY THIS PHONE NOW. 660 snapdragon in this device makes all the operations buttery smooth and snappy, and the phone itself is the most beautiful on the market...certainly its the best value of any device I'm aware of...think I'll get another ???? Habe lange überlegt, welches Handy ich nach meinem Samsung A3 kaufe. Das erste A3 ist ja sehr kompakt und leicht. Ich wollte diesmal ein großes Handy haben. Ich bin sehr zufrieden mit dem Honor 8X Max, es gibt aktuelle Android Updates, die Kamera ist super, das DUAL SIM Feature nutze ich auch derzeit und 64 GB Speicher reicht mir auch aus. Am besten ist aber, dass meine Uhr Garmin vivoactive 3 immer eine stabile Bluetooth Verbindung hat. Beim A3 ging die immer wieder verloren. Ich durfte das honor 8X Max nun bereits 2 Wochen ausgiebig testen und es ist wirklich ein unglaublich gutes Smartphone. Display, Betriebssystem, gute Kamera und passable Frontkamera. Ganz klären Kaufempfehlung, auch für Leute die ein hochklassiges Gerät bevorzugen! This phone is very surprising in terms of battery life and performance. Runs smoothly, haven't had anything worse than a single second stutter. Display is great, I'm actually surprised they were able to get this good a display on such a cheap phone. Battery is amazing and I've found myself coming home with more than 50% left multiple times. The gist of it is if you don't play high graphic mobile games or so, this is the best phone you can get at this price.